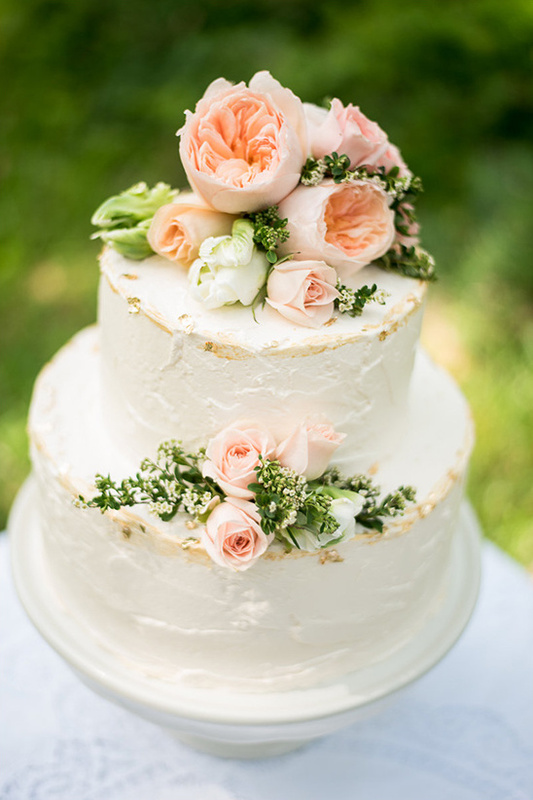 What's more romantic than a garden wedding with blush and peach tones gracing each detail? 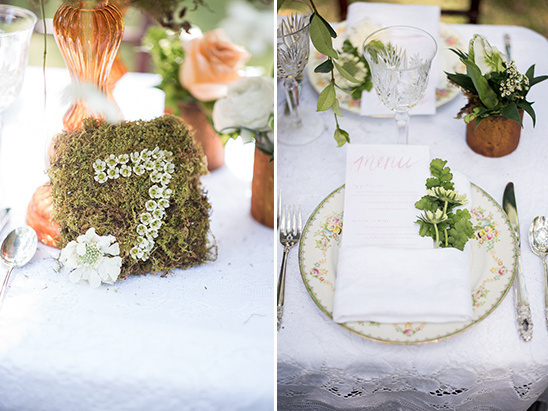 This gorgeous shoot had a fresh, airy and bright feel to it completely embracing the idea of a warm and soft wedding. 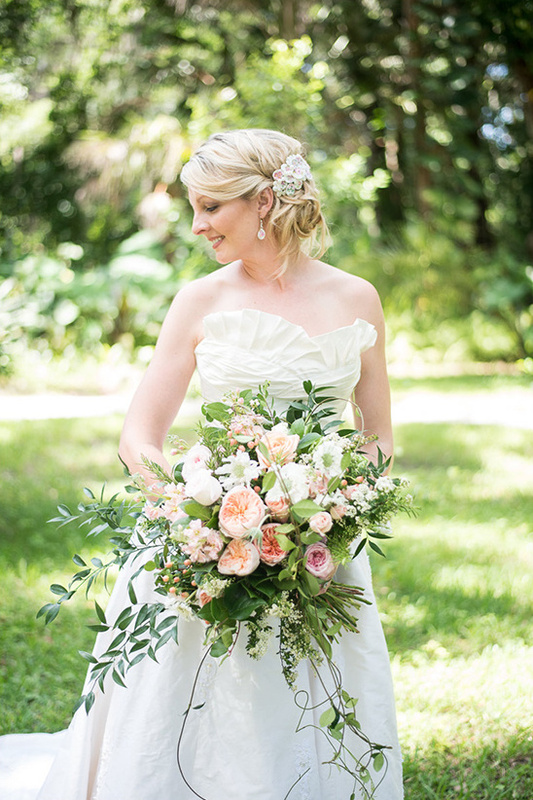 Inspired by the dreamy blossoms of springtime in Florida, this shoot was located at the beautiful Dunlawton Sugar Mill Gardens in Port Orange, Florida. 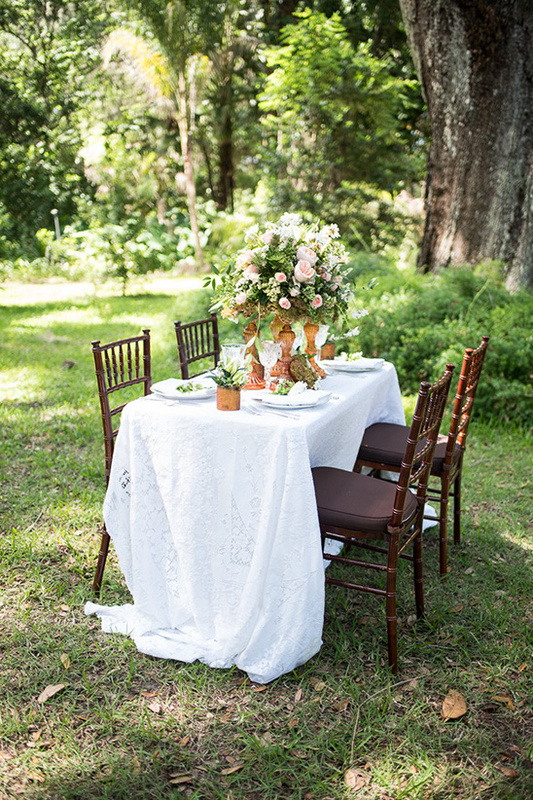 The backdrop of beautiful oak trees created a truly romantic scene. 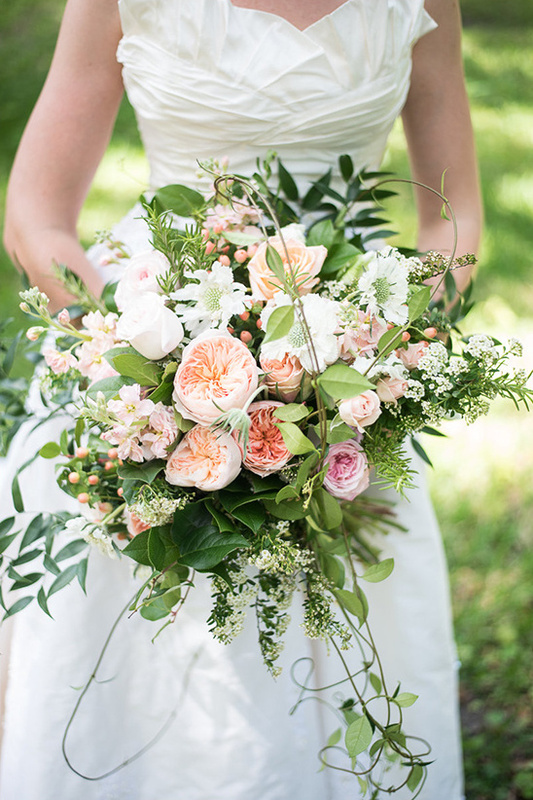 Fall in love with more ideas from this soft pink garden wedding when you view the full gallery here, captured by Leah Dorr Photography. 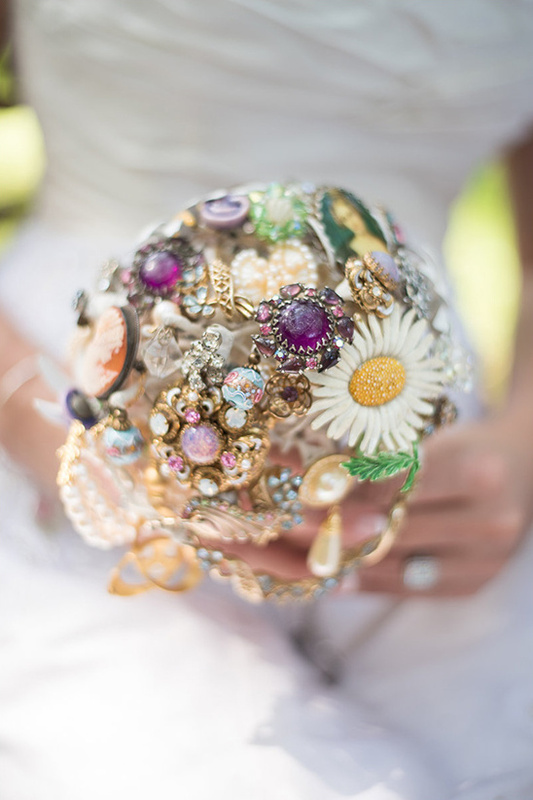 Ashlee from Simply Roses Florist added an incredible amount of beauty to the shoot with gorgeous blooms! 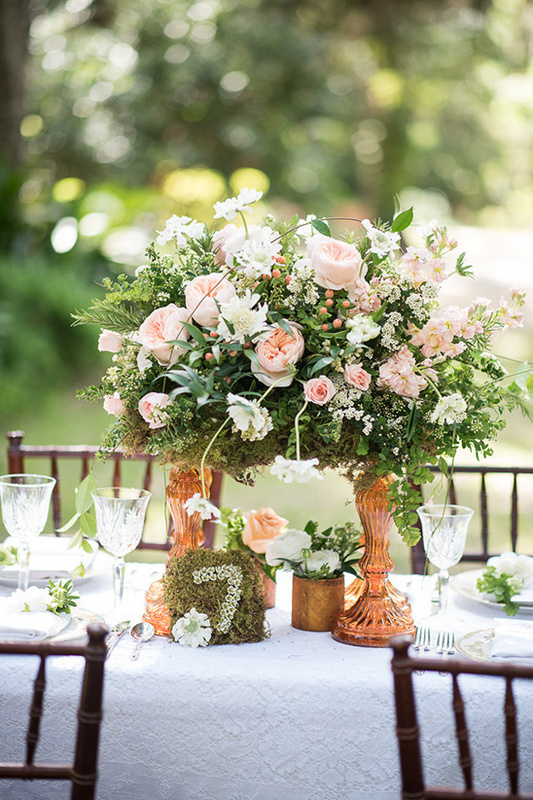 Peach David Austin garden roses, white scabiosa, maidenhair fern, jasmine vine, italian ruscus, peach stock, white parrot tulips, white pieris japonica and white spirea made the shoot dainty and exquisite! 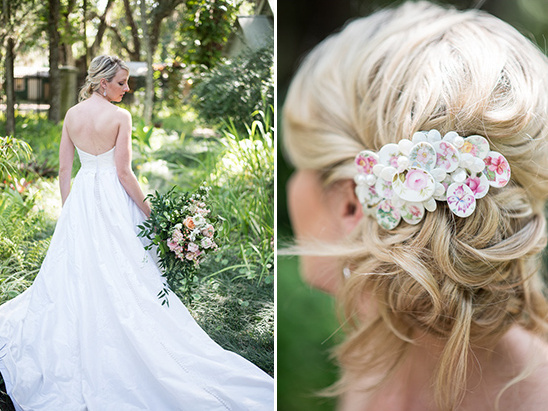 The soft and graceful look of the bride's hair and make up was created by the very talented Noelle Petracca from Marjan Salon. 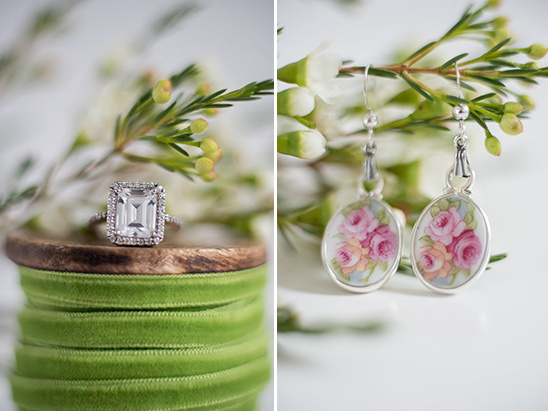 The rare hand-crafted jewelry was made by the talented Tina Goolsby of Pieces Past. The rough textured cake with gold foil was made by Amy Wilson from Cakes by Amy. The soft pink water color menu card was made by Heather from Leveret Paperie. 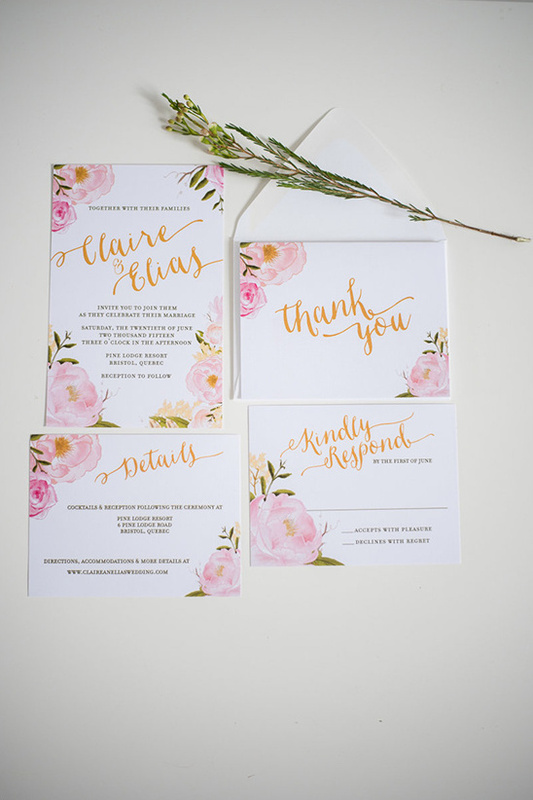 The spring watercolor floral invitation suite was handmade by Casey from Casey Snyder Designs.